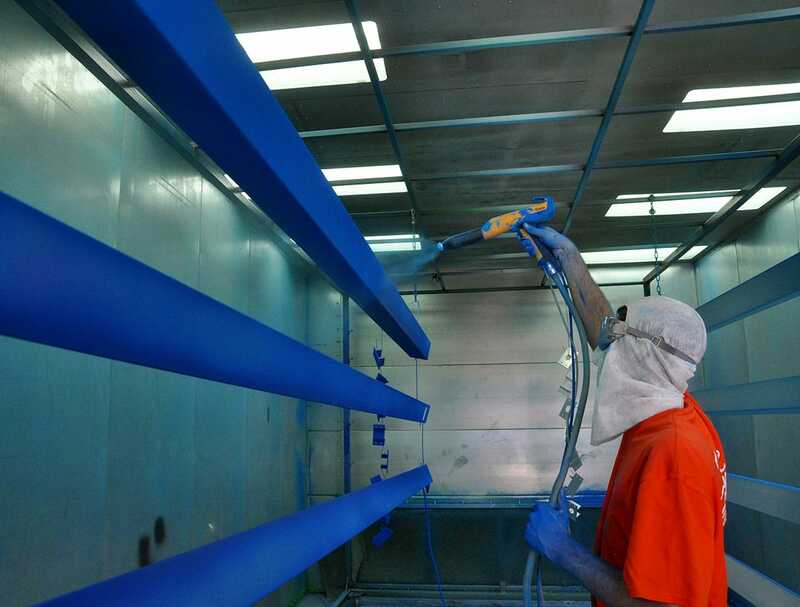 Powder coating is a type of coating that is applied as a free-flowing, dry powder. 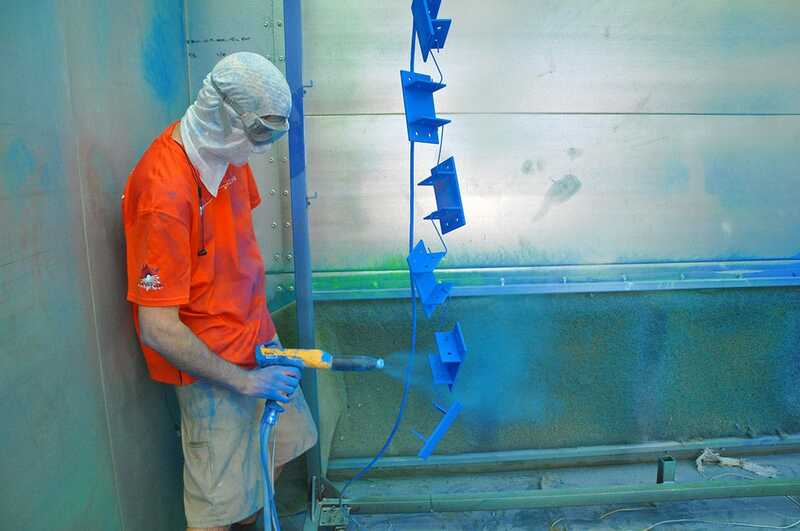 The main difference between a conventional liquid paint and a powder coating is that the powder coating does not require a solvent to keep the binder and filler parts in a liquid suspension form. 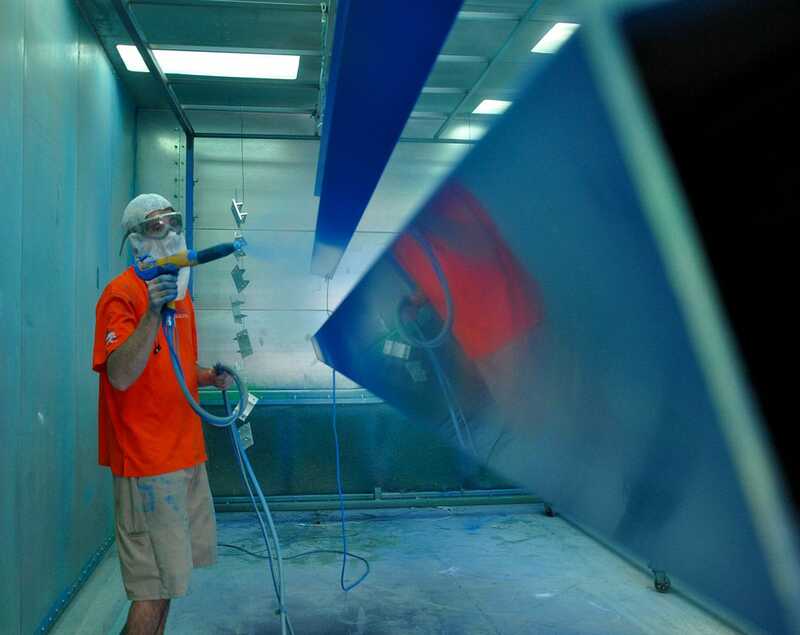 The coating is typically applied electrostatically and is then cured under heat to allow it to flow and form a "skin". 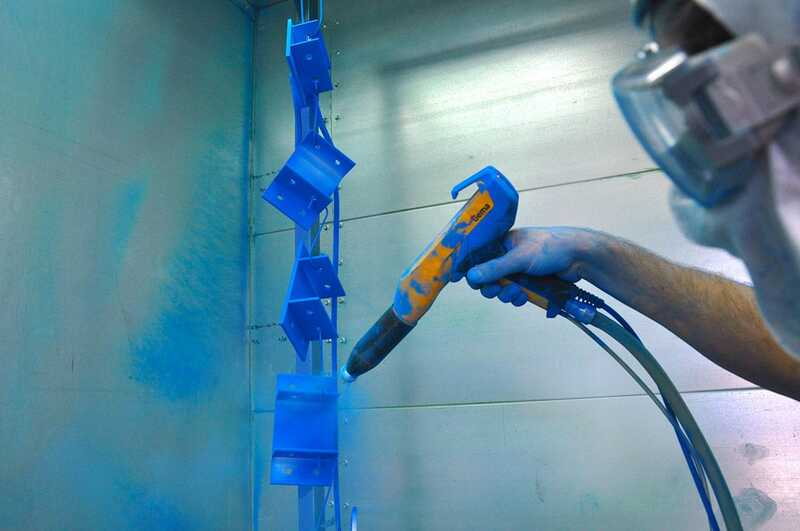 Powder Coating is the premier finish choice for all metal products as it is used to create a hard finish that is tougher than conventional paint. 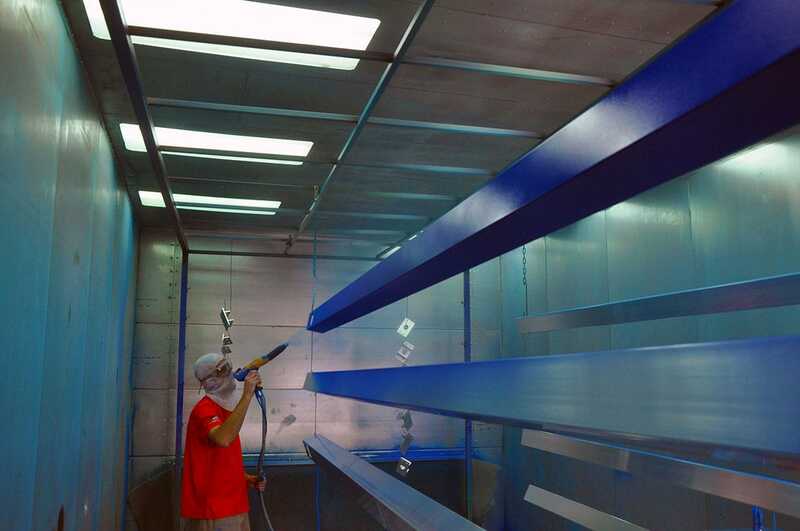 Because powder coating does not have a liquid carrier, it can produce thicker coatings than conventional liquid coatings without running or sagging, and powder coating produces minimal appearance differences between horizontally coated surfaces and vertically coated surfaces. Finally, several powder colors can be applied before curing them all together, allowing color blending and bleed special effects in a single layer. 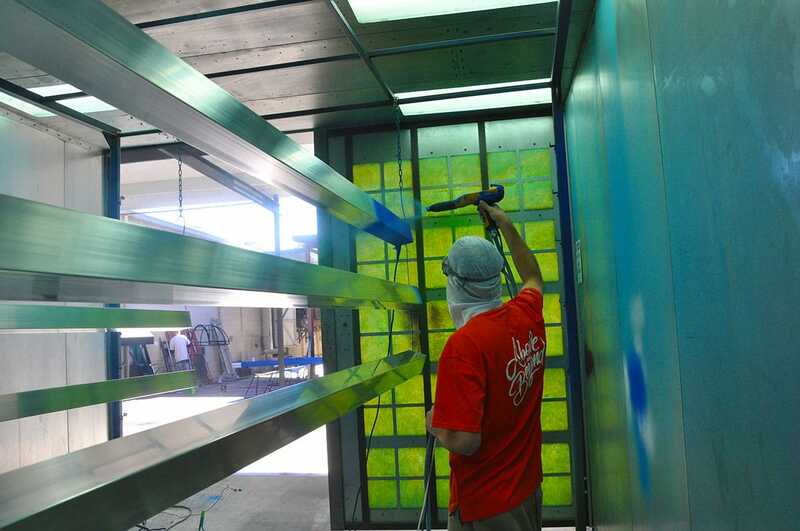 With our state of the art 25' powder coat spray booth & oven Coastal Powder Coat can transform your metal products into a long lasting durable finish available in one of our stock colors which include Black, White, Silver, and Bronze or for a minimal additional cost we can custom color your project into any color imaginable. Let your company colors demand attention on the façade of your building with a Coastal Canvas Products metal canopy or awning powder coated with your company or school colors. We find it difficult to answer the question of why not choose this premier finish for your metal project?